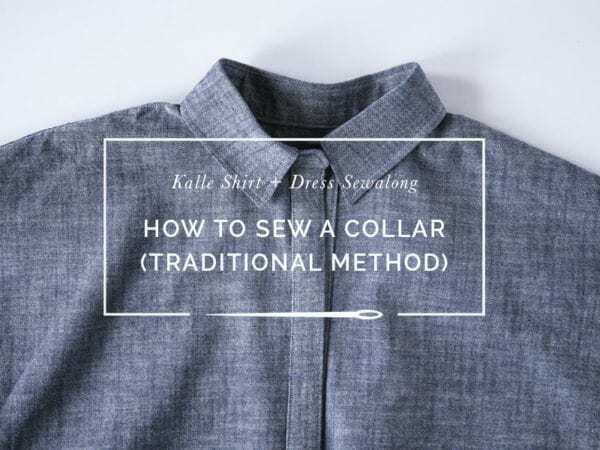 This week we are talking about installing the collar for our Kalle Shirt & Shirtdress. 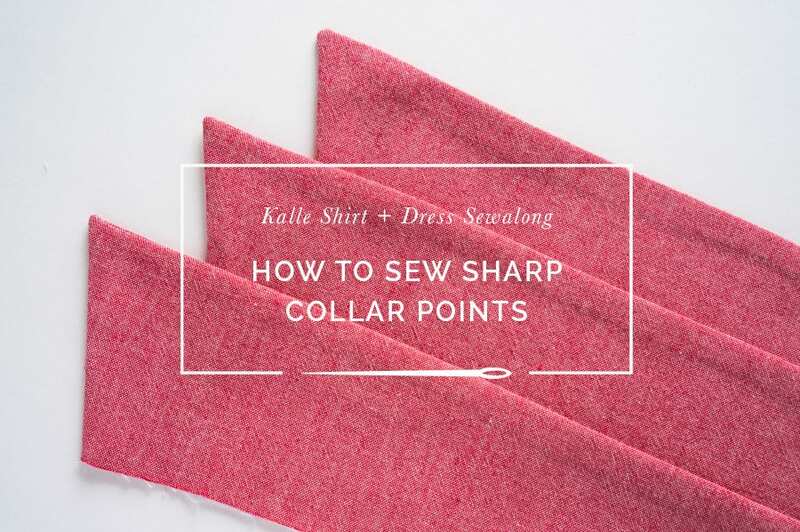 I am going to show you two methods for doing so, but in the meantime I thought it would be fun to take a little detour to discuss how to sew sharp collar points. If you’ve made a few shirts, you’ve probably struggled with getting nice, sharp collar points. I wanted to experiment to see what got the best results, so I tried three different methods. 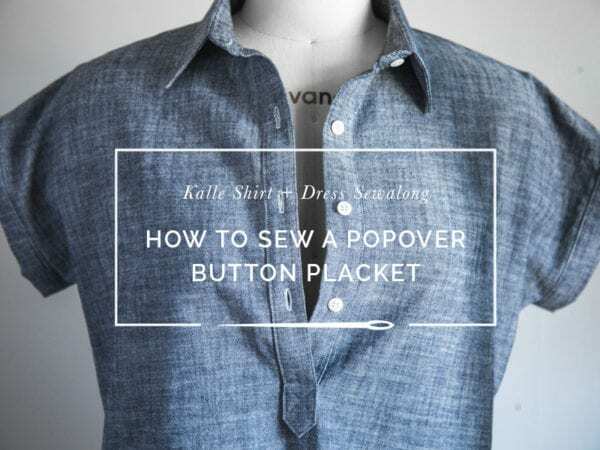 The first one is commonly called for in shirt pattern instructions; as you approach the corner, you use a short stitch length to square it off with 1-2 shirt stitches. The second method is the one most commonly employed by professional shirt-makers, at least according to David Coffin in his Shirtmaking book. 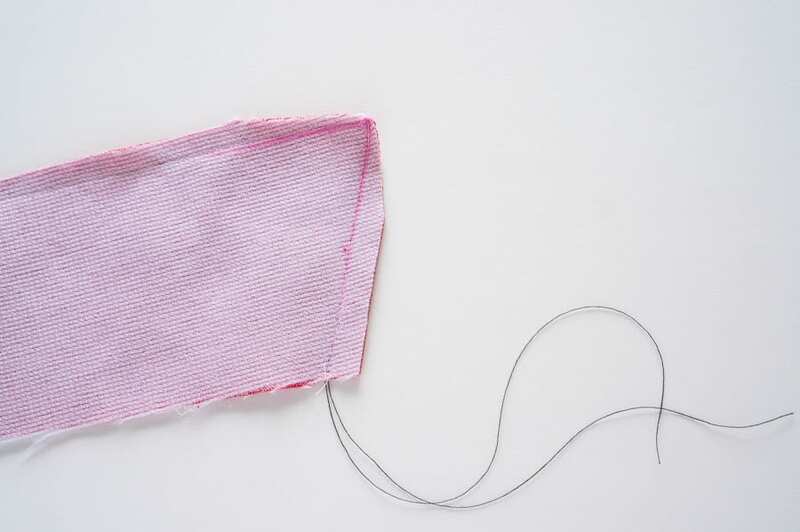 In the last method, you sew the corner stitch over a piece of thread and then use that thread tail to pull the corner clean out. Here is a quick look at my results. 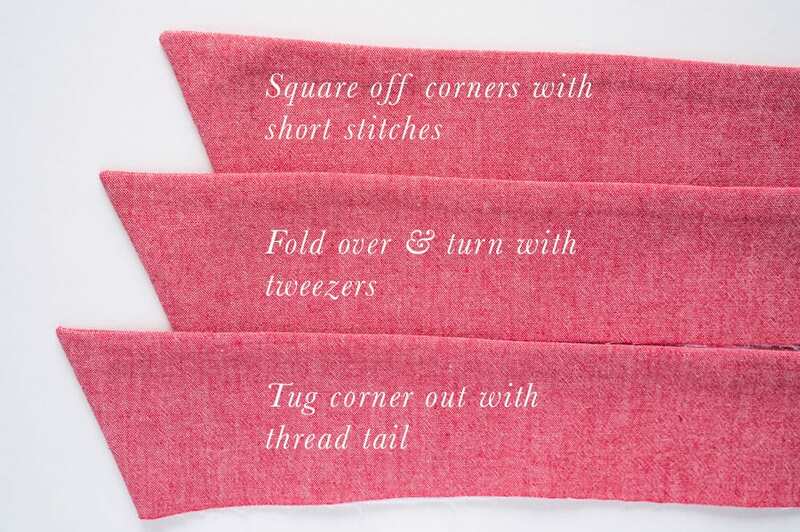 The fold-over and thread tail method are the clear winners here. I believe I got the sharpest results with the thread tail method, but I am going to show you both techniques and you can choose the one that works best for you. Since I have never gotten great results using the square off method, I won’t be explaining that one any further. If you are sewing shirt collars this way, simply sew your seam allowance normally, pivoting at the corner. 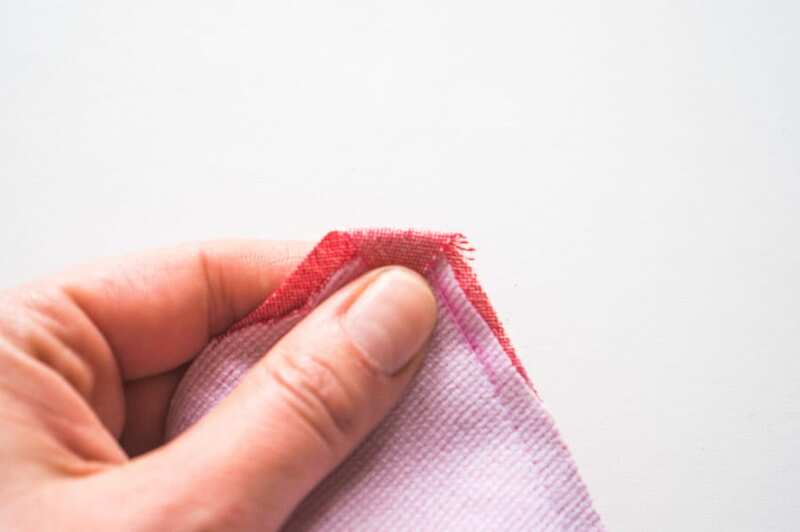 Trim the entire seam down to 1/4″. 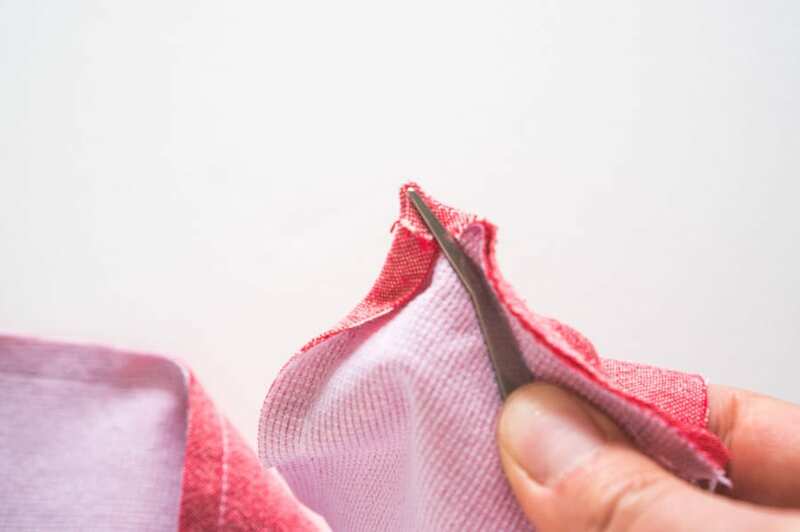 It isn’t necessary to trim too closely around the seams, but you do not want to remove a bit of thickness. 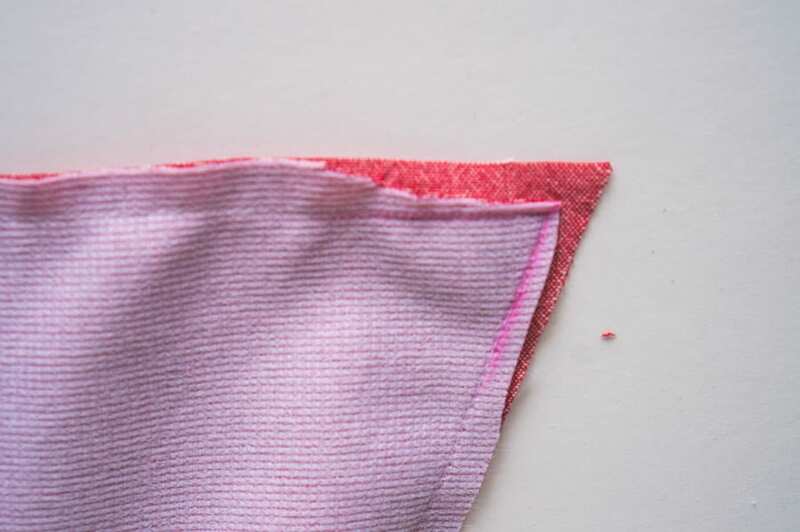 I graded the interfaced seam down in the below example; if I wanted to remove bulk even more, I would cut my interfacing to the size of the finished collar and not apply any along the seam allowance at all. Next, fold over the edge of the corner right at the point and try to crease the edge with your finger. Next, fold over the seam along the stitch line and crease it in place. Now you’ll need a pointy pair of tweezers. I find the ones that come with most sergers work well – it’s important they have a long, pointed edge so you can get right into the corner. 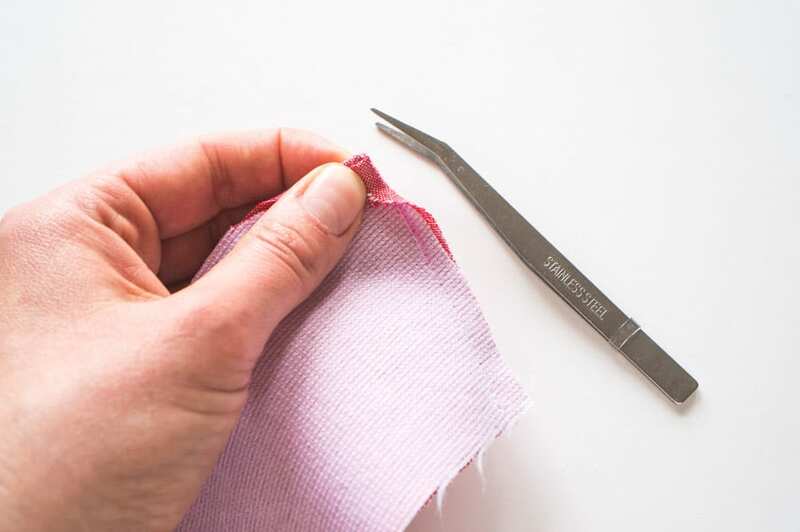 Push the tweezers into the corner and try and grab this little folded over area of fabric as you hold it steady with your fingers. The tweezers should be grabbing the right side of the collar on the other side. Hold the tweezers tightly and then flip the corner to the inside. 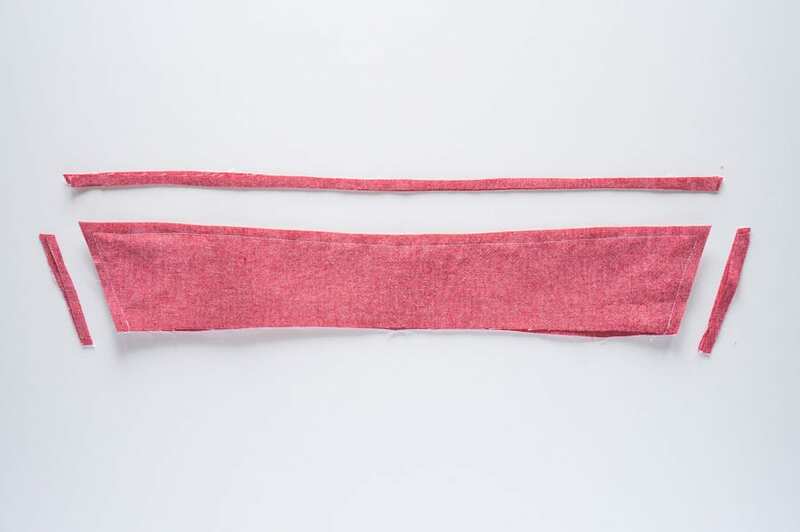 The collar should naturally align along the crisp folds of fabric you made into a nice point. 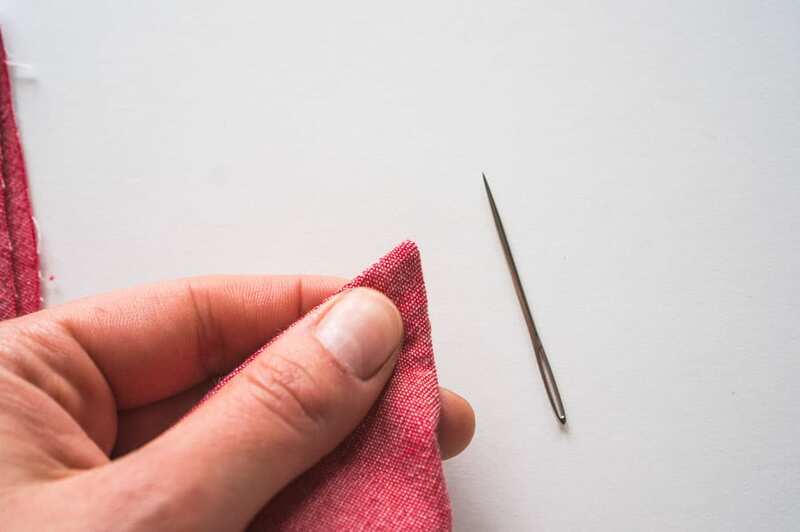 If you’re having trouble getting the point entirely out, David Coffin recommends using a large needle to nudge the point out – just be careful you don’t use too much force or you may nick a thread. I find the tweezer method gives pretty good results, but it’s a little fiddly. I am super happy to have discovered the following technique. 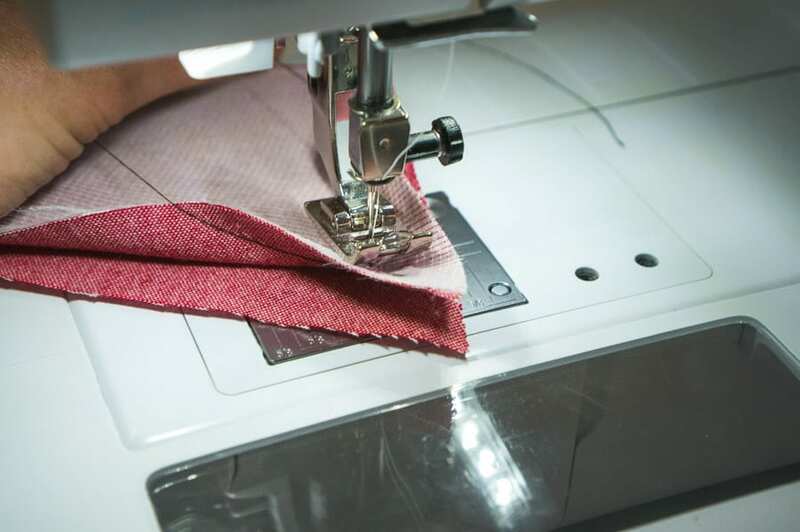 It gives super sharp corners and is pretty easy to sew, one of those sewing moves that feels like magic. 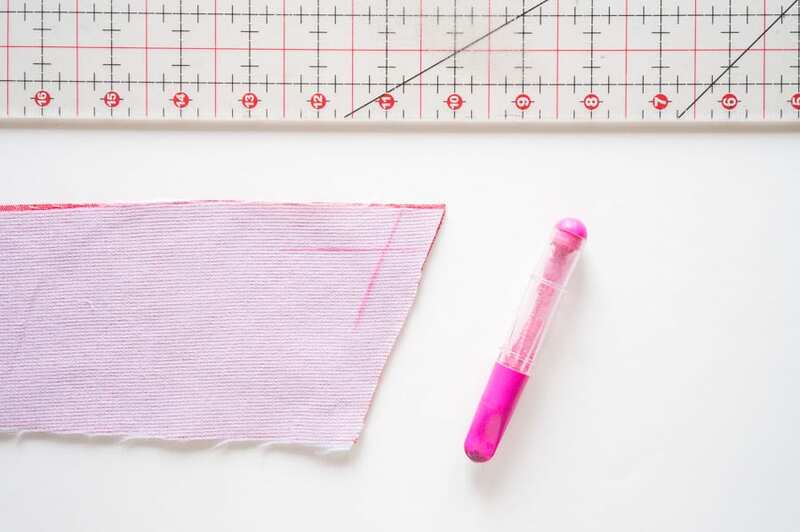 This method is done at the sewing machine, but I like to mark my stitch line before I get there so I know exactly where to pivot my stitching. 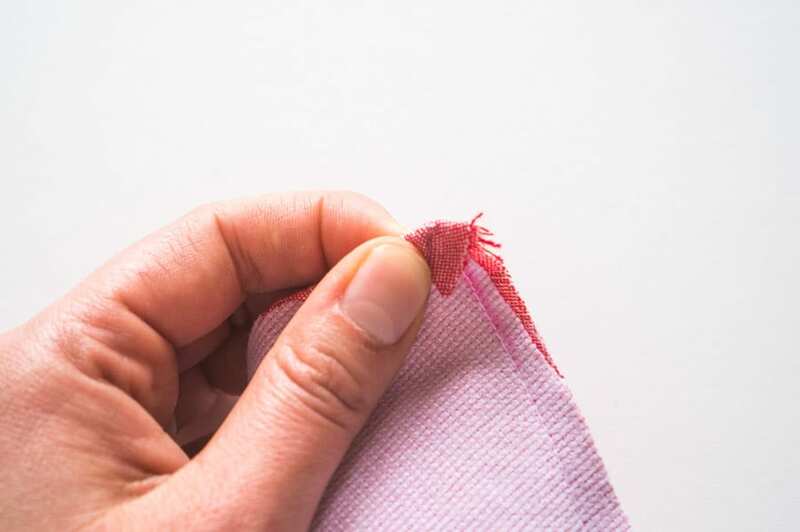 At your sewing machine, sew the seam allowance normally, but switch to a short stitch length before you get to the first corner (around 2mm). 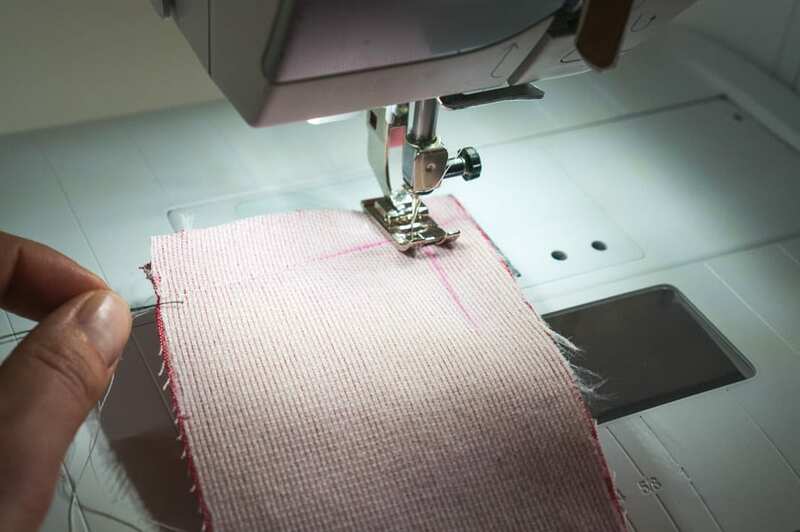 Right before you make the stitch that you will pivot from to turn the corner, cut a length of thread. Leave your needle down and raise your presser foot. 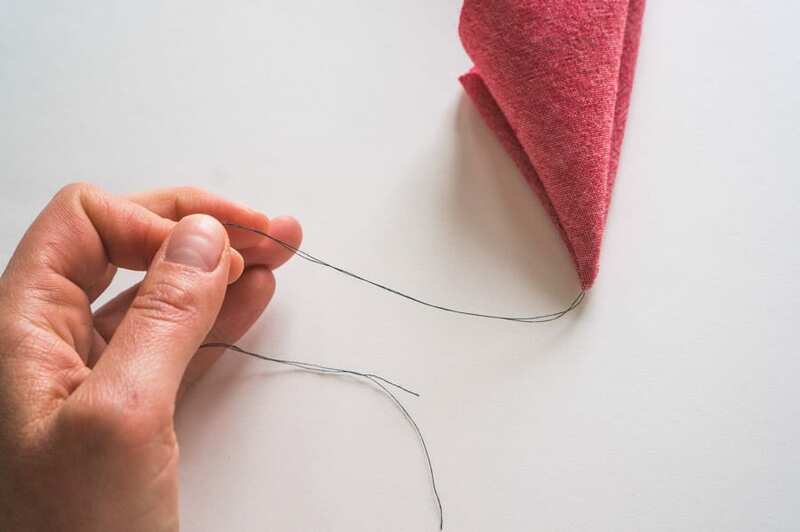 Bring the piece of thread in between the two collar pieces on either side of the needle until it is touching the needle itself. Use your left hand to keep this piece of thread taut. 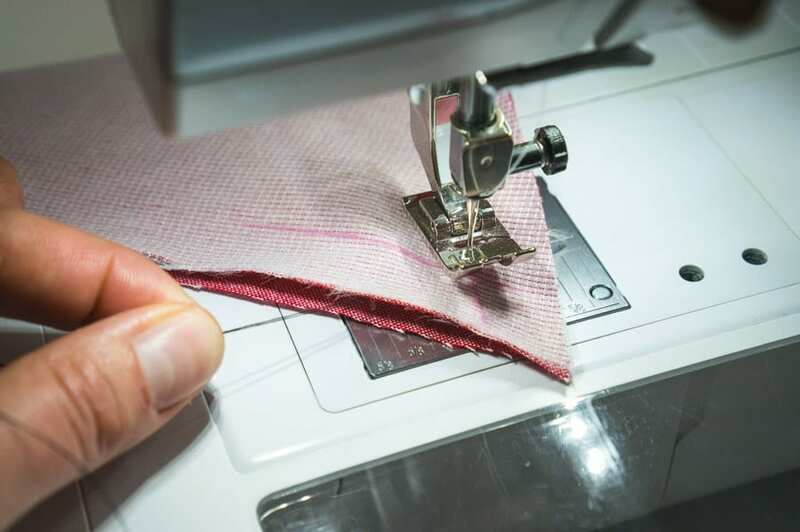 Put your presser foot down and sew one stitch, leaving your needle down. You have just sewn over your thread tail. Now, pull the thread on the right side over to the left, around the base of the needle. You should now be holding both threads in your left hand. Leave the needle down, and turn the collar so you are ready to sew the next side. 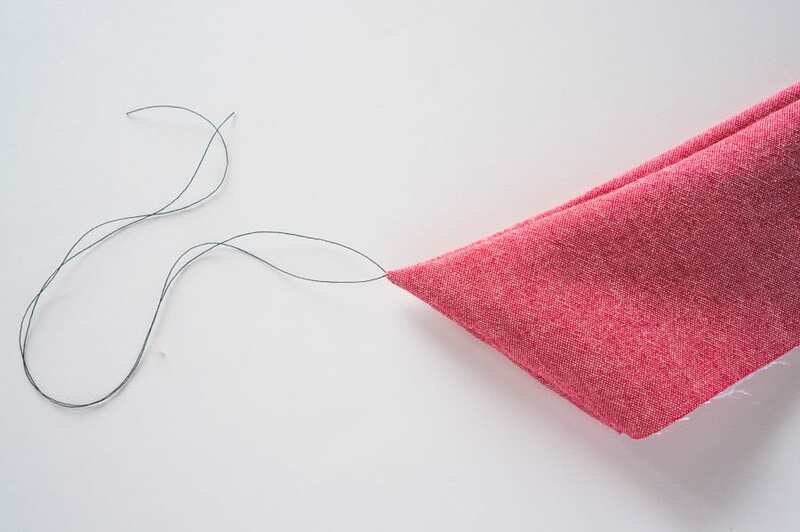 Pull the thread tail as far to the left as you can so it is out of the way when you begin stitching. Now sew one stitch. You have now “trapped” the thread tail in between the two stitches that meet at the corner. Continue sewing, and repeat the same steps as above for the other corner. Once your collar is stitched, grade your seams and trim close corner without cutting your stitch line. Now here’s the fun part! 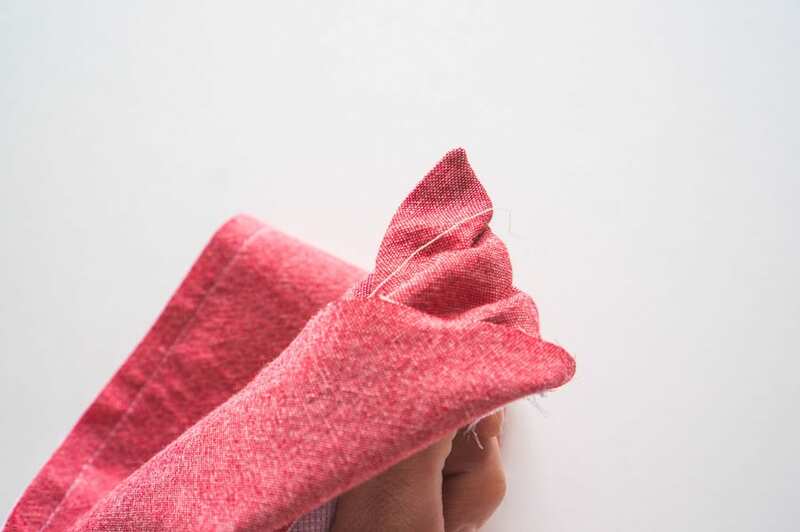 Gently pull on your thread tail and turn the collar right side out. Don’t pull too hard, or you risk popping a stitch or pulling the corner too far out. You’ll find you’ve created a remarkably sharp collar point! Press into shape and you’re good to go. 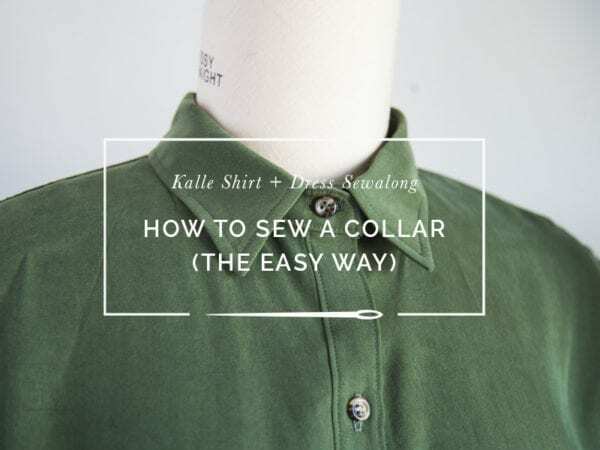 Hopefully you’ll get great results sewing your next collar with one of these methods. What is your favourite way to sew collars?